Home or apartments are very important places for our lives. 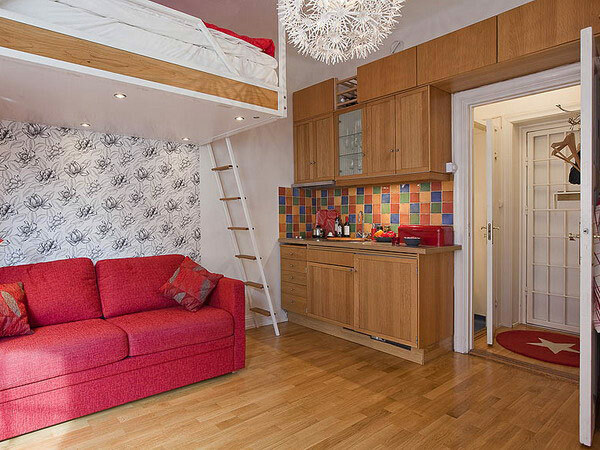 Our choice towards living in a small or large apartment is driven by our necessity or personal linking. Everyone has the right to personalize and develop the small apartment design with new interior location, design and colors. From color scheme to the storage solution, following tricks provide the ideas of using multi functional furniture with enough utilization of space. You can personalize the small apartment space with use of bright colors, graphics, wall art, painting and flower addition. Consider different painting and coloring options for your small apartment, instead of applying harsh colors; consider low emission colors as red and white scheme. Optimizing the apartment for wall graphic details of your personal choice will be helpful in adding touch of modernism. You small apartment must showcase an ingenious layout and built in solution of space and furniture with its sophisticated hidden storage. The small area can be best utilized with introduction of wall bedding, one large sofa along with built-in cabinets and desks for keeping books and clothing articles. An easy and proficient step in articulating your small apartment design is to introduce high tech household features with modern lighting and glass doors. Place your furniture from floor to upward till ceiling with wall so with small footprint shelves can have better storage capacity owing to their flat and tall designs and vivid colors. Get more with space and clever design solutions: confine your local possession (letters, books, cell phone, etc) to a permanent place so to get it easily whenever you need. Multiple nature based furniture will be highly considerable for you also add two amputated system so that you can move your furniture whenever you desire instead of, uplifting heavy furniture. It is advisable universally to small apartments design to buy first the important items rather than they will be wasted in the end when, unpacked. 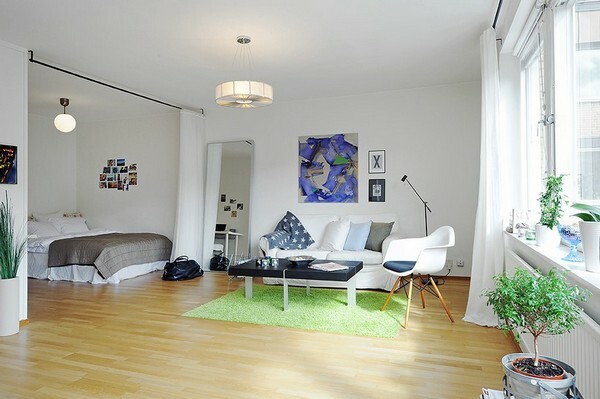 Paned windows and parquet floors are smart choice for designing your apartment into a cozy and modern living space. A smart floor plan with small gourmet kitchen equipped with modern facilities and faucets will add to the elegance. Modern lighting and space solutions will enhance the outlook of built in cupboards and beautiful color choices will maximize the small apartment area. The interior design is equally important when it comes to using light Italian furniture articles within your living place. 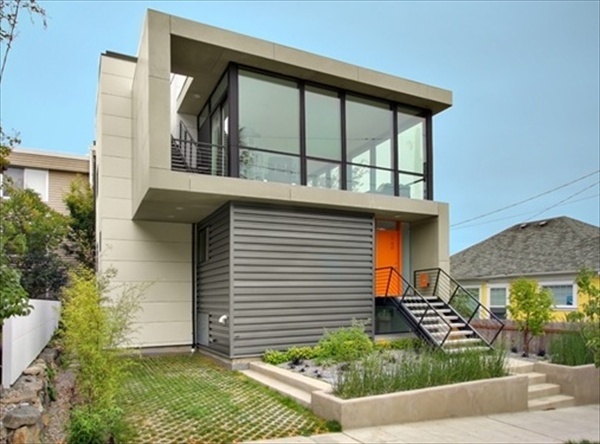 With modern apartment design ideas, it is important to locate your bathroom hidden. Add a multiple colored glass for high captivating eyes. With these ideas focus also on small apartment as an airy outlet. The flood of day light in a small area would be highly appreciated able to your eyes and spirit. 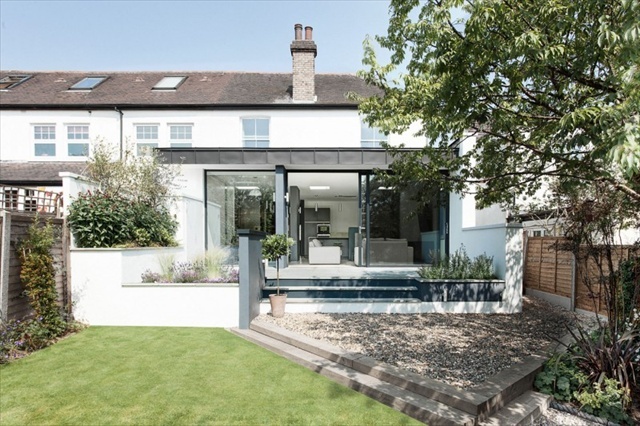 Concluding, it is better to divide your entire apartment in two functional area, whilst be easy to manipulate the apartment design ideas wisely with above steps. 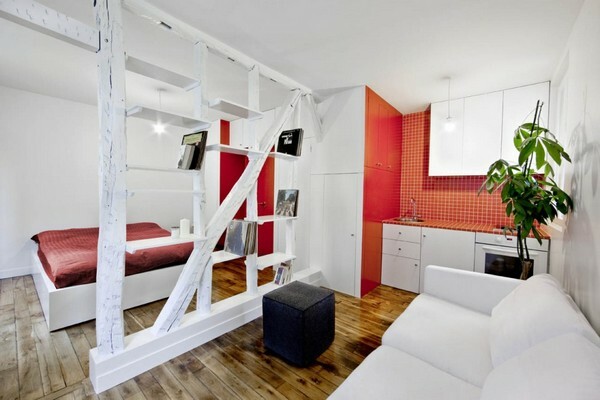 Modern Small Apartment in Paris with a Beautiful Red and White Interior. Tiny Apartment in Sofia With a Modern Wall Graphic Details. 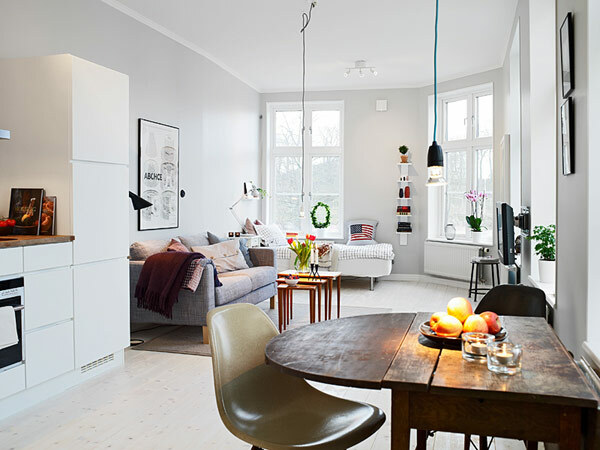 Small Apartment in Gothenburg Showcasing a Luxury Layout Design. 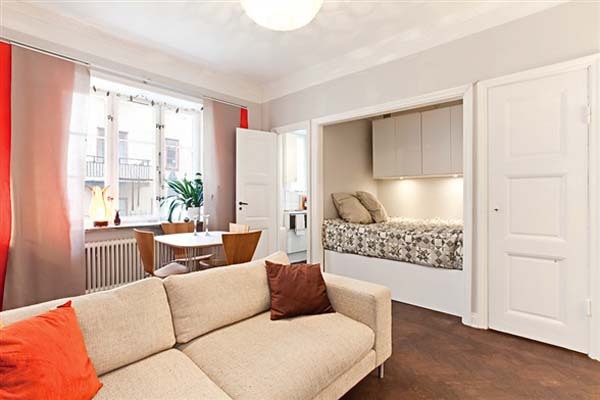 Stunning Layout Making Most of a 21sqm Swedish Crib. 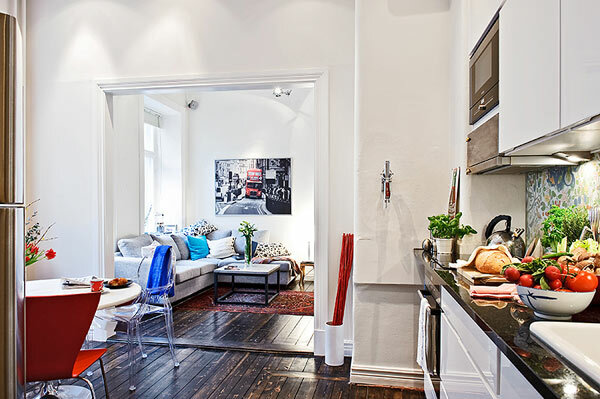 Small Apartment With Mind-blowing Layout. 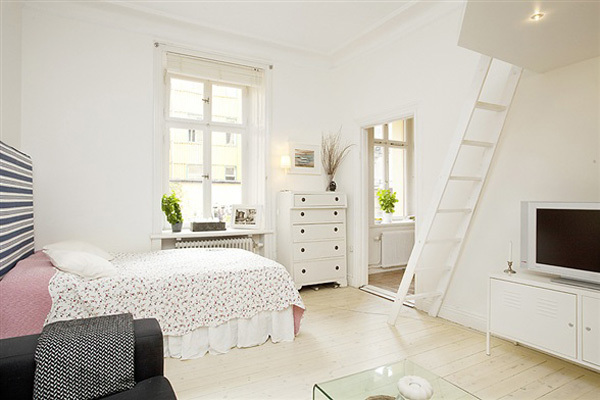 Small Swedish Apartment That you want for your living. Comfortable Apartment With extra Space for design Everything. 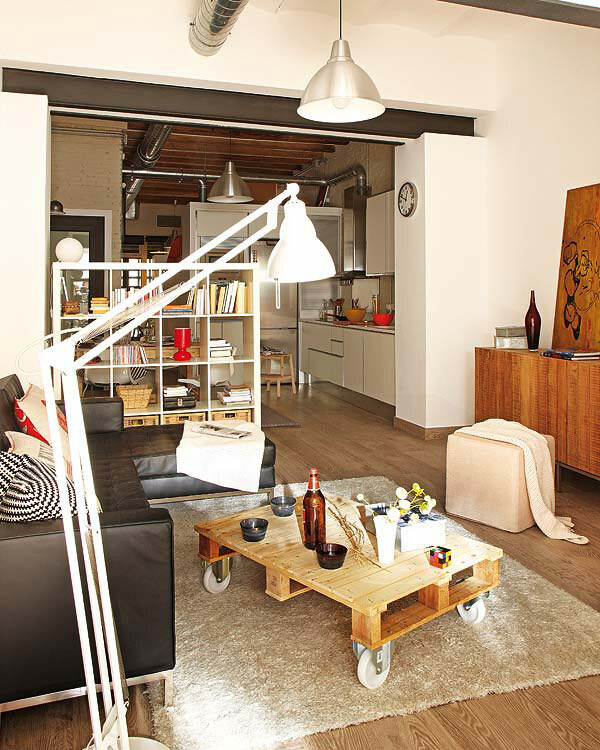 Small Apartment in Barcelona With Modern Design and Space Solutions. One Room Small Apartment With Comfortable Windows and Floors.